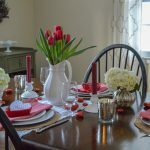 I love to decorate my home for all of the holidays throughout the year and Valentine’s Day is no exception. However, I also like to be practical and stay on a budget. 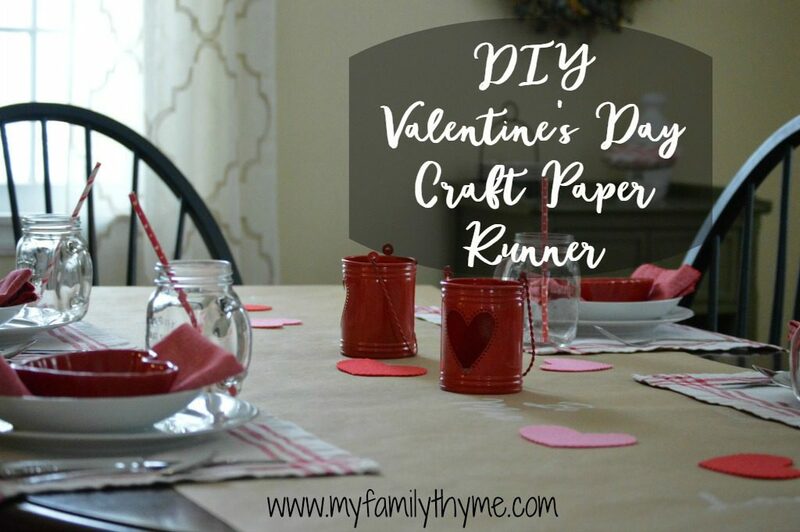 This year I decorated my dining room table for Valentine’s Day dinner by making this fun and festive craft paper runner for less than $5. 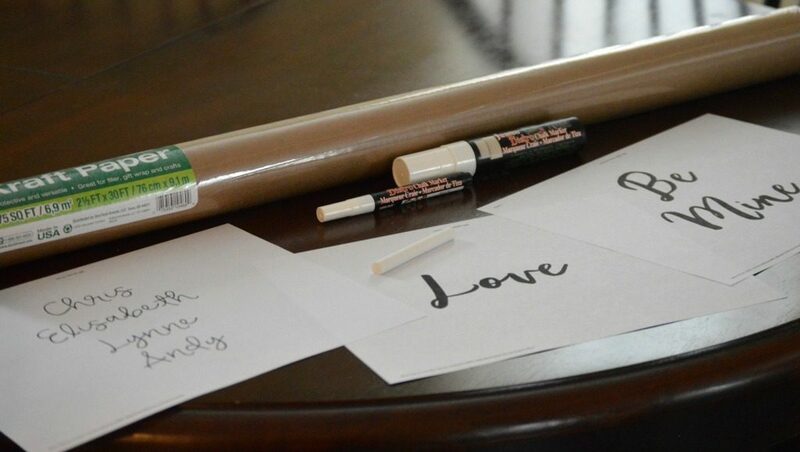 Begin with a roll of craft paper. I found mine in the stationary section of Walmart for less than $4. Using Picmonkey and fonts from Angie Makes, I created a couple of templates with Valentine’s Day words. These are included at the bottom of this post for you. I also made a template of my family member’s first names. 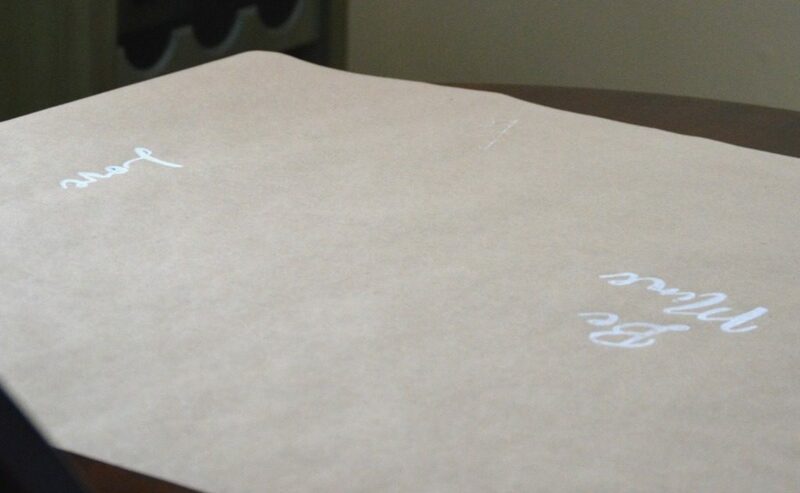 You will also need a piece of chalk, a chalk pen, and a pencil. 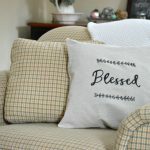 Once I measured and cut the craft paper, I decided where I would like the words. 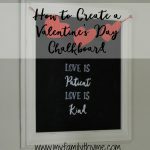 I followed the same method that I have for creating holiday chalkboards…you can check out my Valentine’s Day chalkboard. This DIY project took me about a half hour to complete. 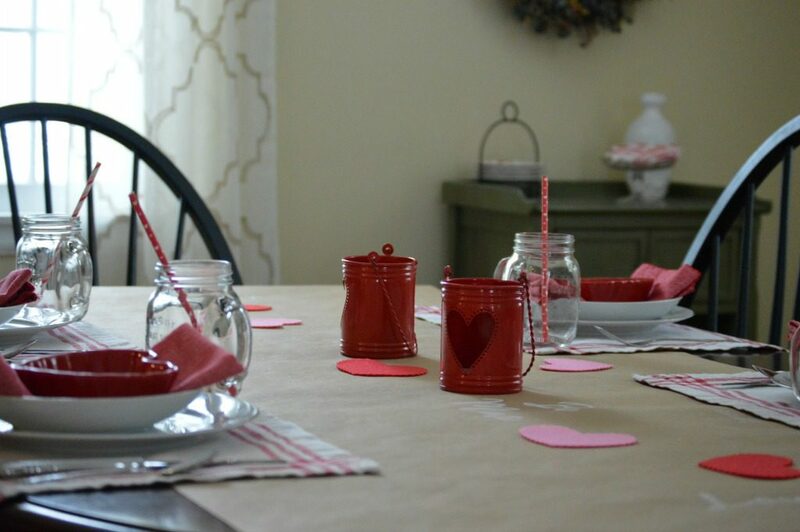 Then I added some cute candle holders and linens I had bought a few years ago from Sur la table, some fun heart dishes I had found last year at Michael’s, and a few felt hearts from Target’s Dollar Spot for just $1! My children request Shirley Temples on Valentine’s Day each year. This is our favorite recipe. These mason jar glasses will be perfect for their drinks. 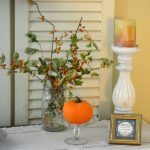 They add a little farmhouse touch, with some fun straws I had leftover from last year. 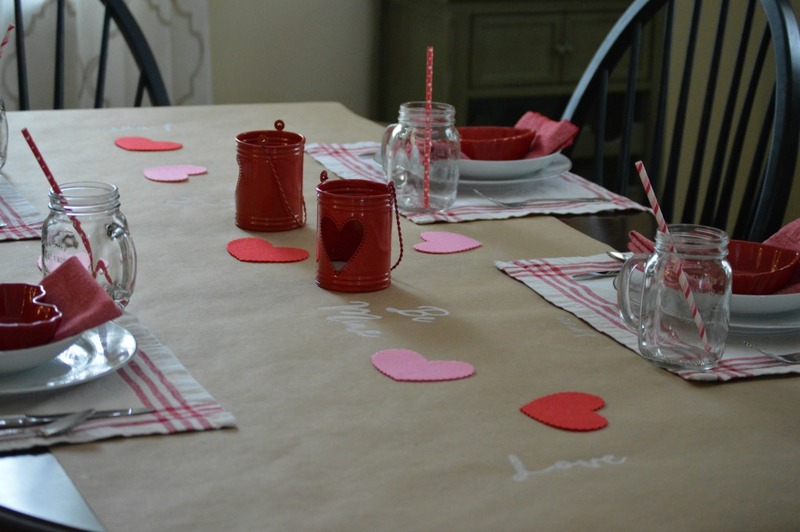 Since Valentine’s Day is on a Tuesday this year, we will be staying home with our family to celebrate this year. As a result, my teens have created our menu. For dessert, we will indulge in fruit salad and this incredible chocolate mousse. 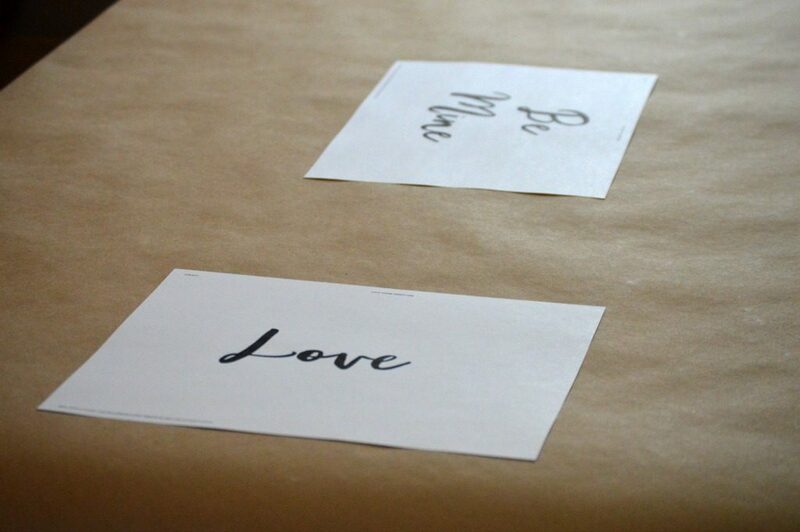 If you would like to make this project, here are the printable templates I created. Please be sure to print them in the landscape setting. Do you like to stay home or go out for Valentine’s Day? 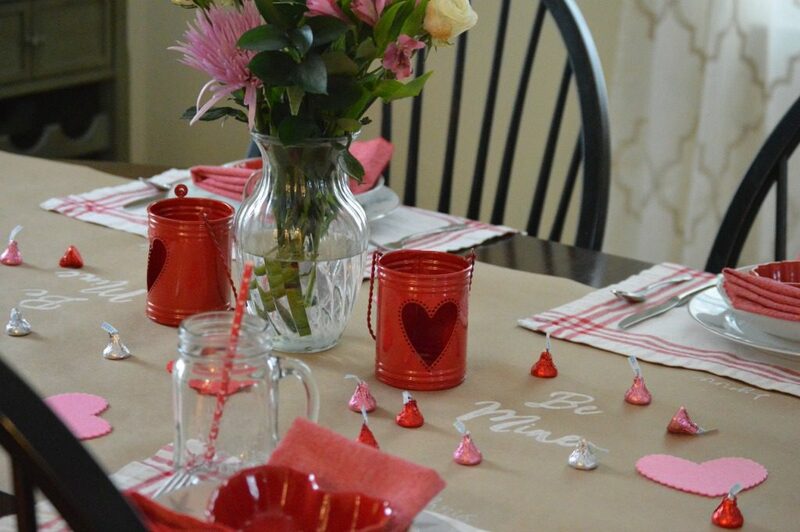 Do you like to decorate your home for Valentine’s Day? I would love to hear your thoughts. Hi Lynne: Fun great idea. 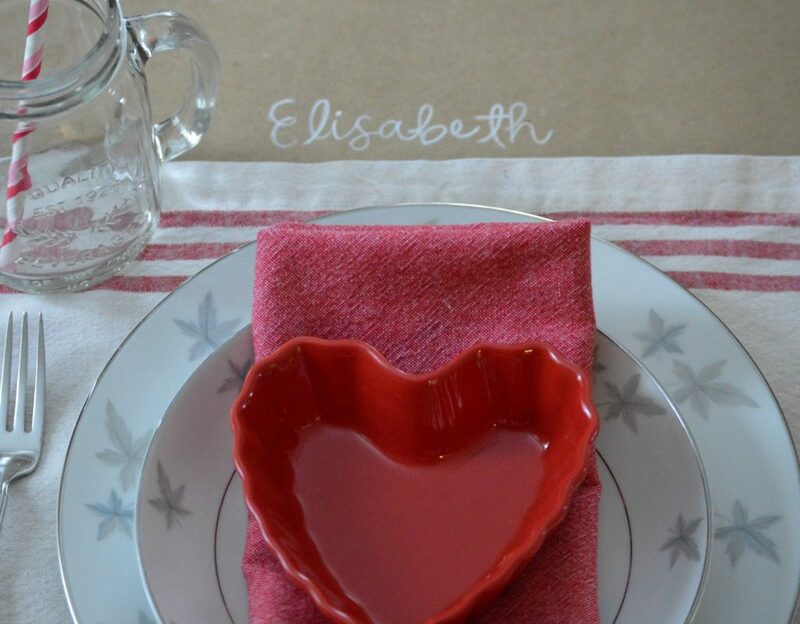 Your colours of your table setting are perfect for Valentines. Love it and Pinning.